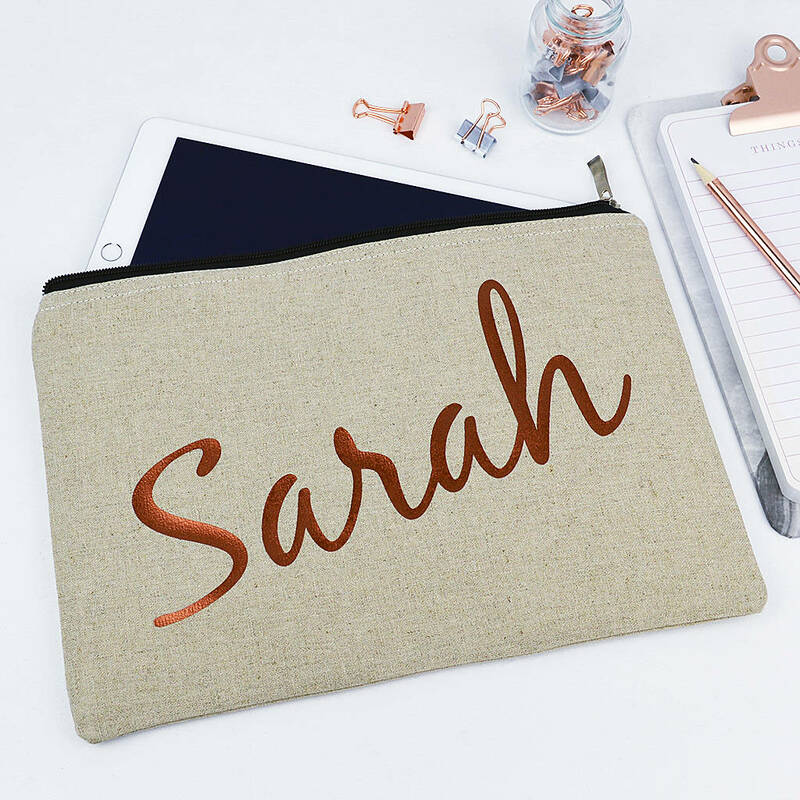 Our Personalised iPad, tablet case, is perfect for keeping any device safe. Printed with a stunning shiny Copper coloured name. Any name can be printed on the front of this case. It has a contrasting black zip with stylish pull and is designed to fit tablets with up to 10" screens within its padded interior. This is perfect for protecting your tablet to keep it safe and secure within your bag or holdall. These cases make the perfect gift for any occasion, Birthdays, Valentines, Christmas, Mothers Day, Fathers Day or if you just want to treat a special family member or friend! They even make a great gift for Teachers!